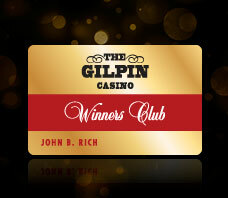 See what’s happening now at The Gilpin Casino. With our monthly events and giveaways, there’s even more ways to win. 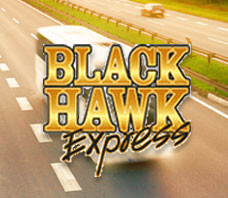 Check out our promotions for exclusive offers for Winners Club members as well as other casino action. 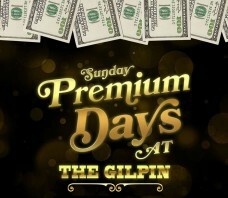 Don’t miss out on the best events and promotions…The Gilpin’s Got It! Must be 21+ to enter and play at The Gilpin Casino. Win up to $500! VIPs get a $50 bonus! 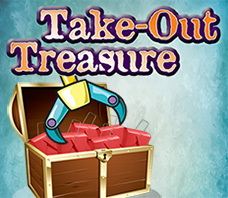 Winners play the Crane Game to grab a take-out box filled with a fortune cookie and cash. 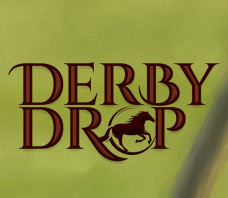 Drawings are Fridays and Saturdays April 5th – 27th, every half hour from 5pm – 9pm.. 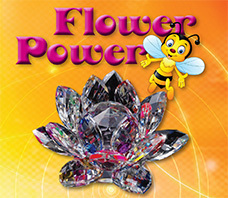 Drawing winners select a crystal flower as a keepsake that also determines their cash prize. Then they pick a bumble bee to determine their personal point multiplier for the day. *Multiplier points are capped at 10,000 points. Beer battered cod, fried golden brown. 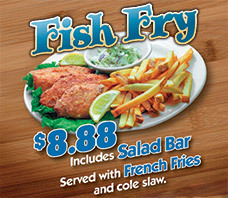 Served with French fries and homemade coleslaw. Salad bar Included. Just $8.88. Every Friday from 11am – 11PM. While Supplies last. Must have a valid Winners Club card. 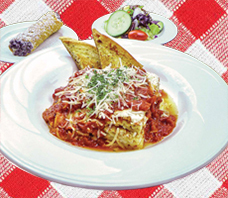 ½ price meal in Lucille Mallone’s for members 50 or older on Tuesday, or earn 50 points that day and get a free meal (up to $15). 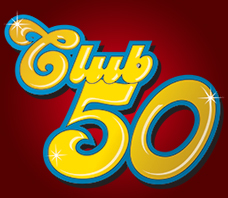 Once 50 points has been earned receive 4X points for the day. Voucher for free meal must be obtained from a Promotion Kiosk prior to redemption. Check in at the promo kiosk on Mondays and Wednesdays to get a personal 5X point multiplier valid that day! *5X points capped at 10,000 base points earned. Birthday Bonus! 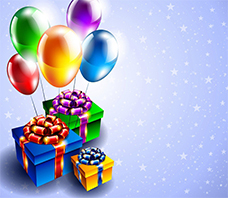 Card members who visit on their birthday day get 50% off a meal in Lucille Malone’s! Earn 50 points that day and receive the meal for free! Get buffet voucher from any promotion kiosk points must be earned that day. Free meal must be redeemed within 7 days. Meal Value up to $15. We salute you for your service! 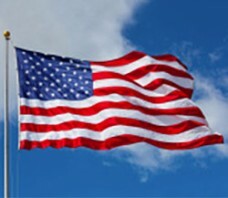 All current and past military, plus all first responders qualify for a 20% discount in Lucille Malone’s. Appropriate employee ID, military ID or veterans ID required. Cannot be combined with other offers. discount on 1 meal per qualifying person. Receive a $10 food voucher when you earn 100 points after registering, and pay a kiosk game where you could win up to $100 in Comp! It is easy to get to The Gilpin with the convenient bus routes offered through Ace/Coach and Ramblin’ Express. Ride and receive $20 cash back when you earn 150 points on your Winners Club card. 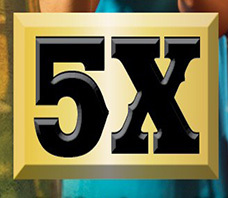 Premium members can activate a 5 X point multiplier for the day at a promotion kiosk. Race to the Gilpin to Win! Earn 50 points on May 3rd of 4th then swipe at a promotion kiosk from Noon-4pm to receive your prize. Your bases are covered! Winners play our Hi-Lo game to advance around the bases. Start at home with a $125 cash prize. 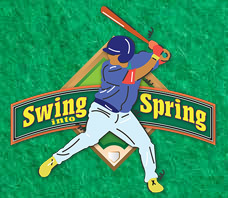 Collect a $25 bonus with each Hi-Lo game won to advance the bases-winning up to $225 if you slide home. The 9pm winner also catches 4 Rockies tickets to the July 3rd fireworks game.